A recent college graduate who grew up in Champaign County has been hired to support local economic development as administrative assistant of the Champaign Economic Partnership (CEP). 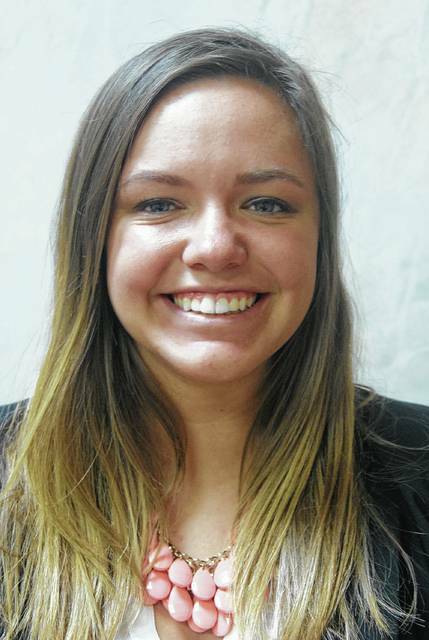 Hannah Tukesbrey Kilbride, a 2014 Triad High School graduate, will assist Marcia Bailey, director of the CEP, the designated economic development agency for Champaign County. Kilbride graduated this spring from Ohio University, where she majored in political science. She completed her degree in three years, having taken classes at Urbana University while a student at Triad. In addition to supporting the CEP’s day-to-day operations, Kilbride hopes to use her experience to help the CEP meet local employers’ workforce needs and encourage youth and recent college graduates, like herself, to consider job opportunities in Champaign County. ·A booth at the Champaign County Fair, in cooperation with the Champaign County Manufacturers Human Resources Council, which will promote local manufacturing career opportunities, including skilled technical positions. ·Inventors Camp at the Champaign Family YMCA, a project also supported by local manufacturers to introduce children to manufacturing. And in October, Kilbride will help with Manufacturers Day, which enables local high school students to tour manufacturing facilities and learn about career opportunities. While in school, Kilbride was active in 4-H and athletics. She supported the American Cancer Society’s Relay for Life in Champaign County and at Ohio University. Submitted by the Champaign Economic Partnership.